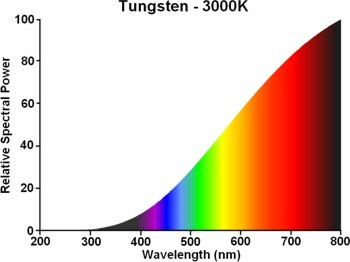 Prior to the dominance of electric discharge lamps for the illumination of large indoor industrial areas, high wattage incandescent lamps of 300-1500W were employed. Ordinary clear or frosted lamps were used together with a reflector luminaire to direct as much light as possible downwards. 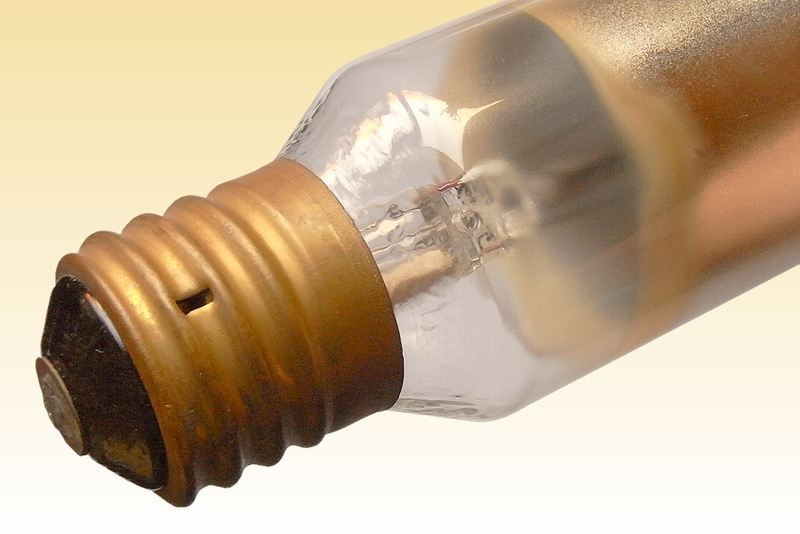 Lumen maintenance was typically rather poor because dust would collect on the upper surface of the rounded bulbs, blocking the transmission of light to the reflector above. This problem was elegantly overcome with the development of high wattage incandescent reflector lamps in the 1940s - but these were only successful up to about 500W. More powerful lamps were desirable, but when using traditional parabolic or ellipsoidal reflector shapes the light source must be placed quite close to the neck area of the reflector for optimum optical efficacy, and the more powerful filaments would cause the glass to overheat. 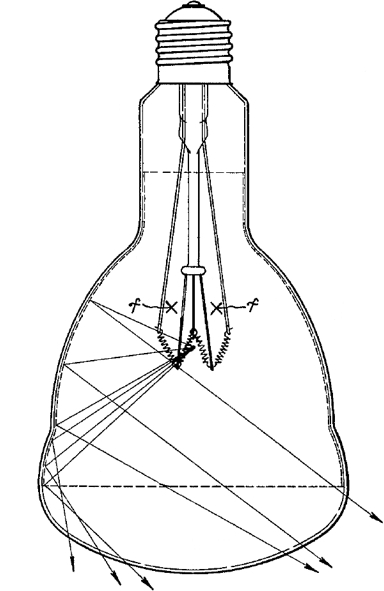 Similarly, traditional reflector lamps project the majority of their light through a relatively small area at the centre of the bulb face, which would also overheat and lead to softening and blistering of the glass. 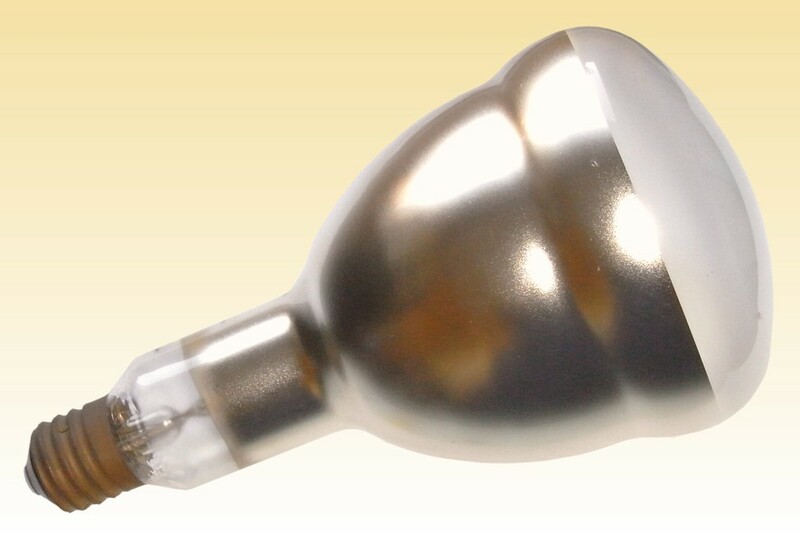 Whereas the ordinary A-shape bulbs could be made in cheap soft glass, the higher wattage reflector lamps had to be manufactured in costly borosilicate hard glass and the cost difference limited their potential. A much more satisfactory solution was presented with the 1955 invention of the RB shape bulbs which comprise two distinct optical profiles, by Elton Lindsay and Quentin Dobras at GE. This allowed the filament to be mounted deeper in the bulb away from the glass wall, and to spread the light and heat across a wider area of the bulb face such that the ordinary and cheaper soft glasses could be used. Factory: Nela Piloting Cleveland, U.S.A.